This is a practical and engaging guide to transforming an ordinary backyard into a productive farm. Homesteading is experiencing a revival among both rural and urban residents who want to get back to basics and live closer to the land. In this book, author Chris Gleason gives homeowners both inspiration and instruction for transforming their grassy yard into a lush farm that can produce all the food they need. Gleason is an experienced woodworker and homesteader who shows how to plan and design a backyard farm. He offers expert advice for making all of the essential hard-working structures that are needed to sustain small-scale agriculture. 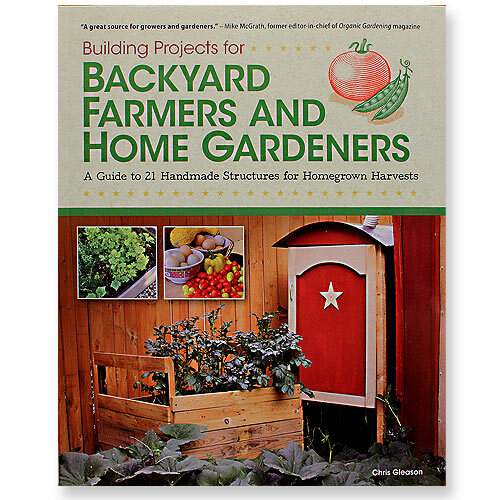 Step-by-step instructions are provided for 10 projects including green houses, beehives, rabbit hutches, raised beds, potting sheds, trellises, fences, and more.